Hey guys I started modeling a space marine today and have hit a little snag that i was hoping you guys could clear up for me. As you can see all i have done so far is his right shin guard. Before i move on can you guys see anything wrong with the shin guard? Now i am having trouble modeling the kneepads. Ive tried cylindars, domes and box modeling and none seem to work out as well as i think they should. This is where i need help. Does anyone know of a good way to model something like his kneepads? How would you guys do it? 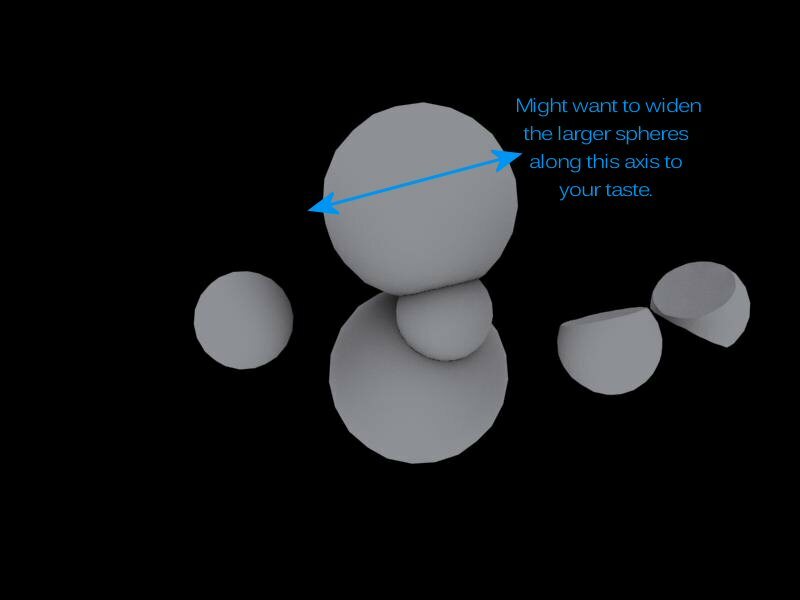 I would use a sphere with a high poly count, then get another sphere with a lower poly count, make it bigger, move it back a little ways, flip the normals, boolean cut, hey presto. No sooner do I post, than I find I disagree. Here's something I knocked up, on the laptop, which is appauling to work on, and I sing praises to the day I got a proper computer upstairs.. But this was quick. So, I started with a geosphere, made two copies of it and doubled the radius, joined then together, moved them to the appropriate place and then booleaned them out of the starting sphere. The two bits on the right show what that results in. I also noted you may want to play with the sizes and ratios of your bits. Note: I'm very big on high polycounts, so modelling from a plane, probably more efficient and also a better way to model. I can just never do it properly so I cheat with box models. Edit: Oh yeah, and my suggestion with your current start, would be to tip the top and bottom surfaces of your lower leg armour. Neither end is entirely flat. ... Saying that, better start than I've made with Marines before, where did you get the blood raven mannequin pic? Ok the sphere method didnt work coz the kneepad just isnt shaped that way, but thanks anyway Dannage. Also Dannage i got the reference pictures from the Dawn of War 2 Fansite Kit, google it, im sure its not too hard to find. So I managed to get a decent looking kneepad using a cylindar though, what do you guys think? Anything wrong with it? Anything that you would change? Ill be starting on the boots and the thighs tomorrow. Looking at the Ortho's I still would have used a sphere, but probably made it bigger than the impression I gave in my five minute job. Looking at the side view on your source pic there is a curve where your cylinder has a straight line. Otherwise, youve followed all the outlines very well, so no crits here. Where is this straight line? Do you think you could paint an arrow on one of my pictures to point it out to me please? And the sphere just wouldnt work. Coz if you look at the side view the altered-sphere just doesnt fit the shape of the kneepad, so i decided not to use a sphere. EDIT: Just got the bluescreen of death and now the files seem to be corrupt. Does anyone know if a system restore in windows 7 will fix up my max files? Anyway managed to recover my work so i didnt have to start again, not that this work is any good haha, its my first character model though so it doesnt matter too much. So did some work on the boots which i absolutely hate and am going to change later, and also tested out the thighs. What do you guys think of the boots? Is there anything i should change? They just dont look like a space marines boots to me, is anyone else getting that feeling? And if you can see anything majorly wrong with the thighs please tell me before i begin to round out edges and so forth. Ok tried modeling the groin today(minus the belt), not sure how it went, so im here to ask you guys. What do you guys think? What needs to be changed? I'm a bit behind, try this. 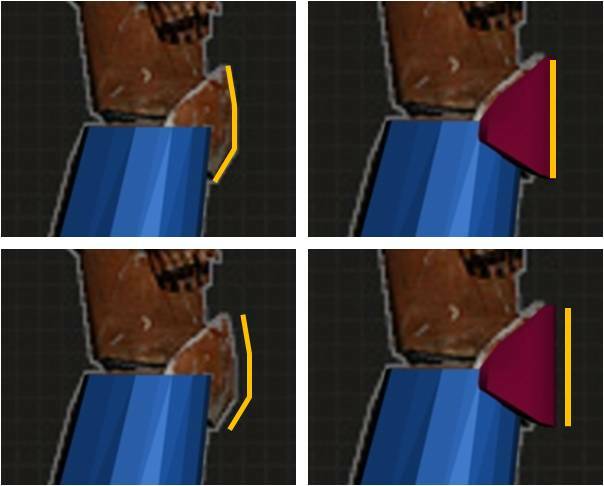 I'm willing to accept it's more angles than curves, but that might just be because it's lower poly, for game smoothness! I've never been able to model humanoids, so as far as I'm concerned you're doing really well! Ok have done a bit of work on the space marine after a short break from modeling so that i dont get bored of it haha. What do you guys think? I realised i wasnt giving you much to critique before, so hopefully now you guys can find some problems now that i have done a bit more work haha. Just been scrolling and I can see that this is an old thread, but is there any chance you have a copy of the reference imagery that you used?